Since there are a plethora of hacks, tips, and ideas available in garden designing, it sometimes becomes difficult to choose the design which attracts you more. Landscaping solutions are basically of two types such as hard landscaping and soft landscaping. Choose one of these two is easy but proceeding with the design is tough since you have numerous choices to make in terms of design, location, plants, etc. 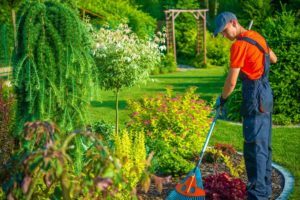 Instead of losing mind over the numerous choices to make, you can hire professionals to help you with the task of garden landscaping. Of course, you can provide your own plan and designs and these professionals will abide by your plan, make the required changes, and then, they will start working according to the analysis, design, etc. Before commencing, there are things that you must know. Before choosing the personalized garden landscaping solutions provider, have a look at the topography of your lawn or yard where you want to personalize the garden. Climate, nature of the soil, exposure to sun and shade, etc come under topography. Know the plants and flowers that can grow in the garden depending upon the amount of shade and sunlight and water they receive. Once you have done your homework, it’s time to proceed with further instructions. In this regard, you can search information related to various plans on the internet and you will get your required information quickly. Then you can sketch down your personalized garden and landscaping solutions accordingly. Before opting for any contractor to commence their work, contemplate who will be using the garden. There are several hacks available for the garden landscaping for children, older people, pets, etc which you can implement in order to fit your requirements. You can create sections within the garden so that they don’t disturb one another. You can draw a rough layout of the personalized landscaped garden. It can have sections and walkways which make it look more beautiful. You can add artificial ponds in the garden or use the existing pond by personalizing it with borders etc. Based on the topography, you can prepare a list of plants for specific sections or the same across the garden. Even now you can also install some synthetic turfs in your garden and these turfs do not require any maintenance cost too. Apart from that, you can also add some patio, blinds and you can structure a permanent concrete bench in your garden area. One of the latest hacks used in urban buildings is a vertical garden where the plants act as the natural barrier. You can use the same trick to separate the sections of the garden or mark the parameter around the garden. Every plant species is unique. Some are oval while some are tall, some are rounded, mounding, spike, or spreading, etc which you can distribute throughout the garden. Hire gardeners to plant the trees and plants properly. 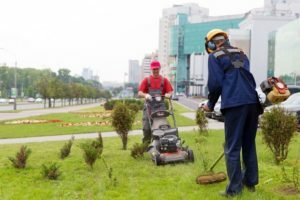 If you are amateur about gardening, there are many gardeners available to help if paid or ask the service provider to appoint a gardener on your behalf. When planting seeds or plants in the garden, look for its growth rate, fertilizer and pesticides requirements, water and sunlight consumption, etc. Further, allow some space around the plants which grow broader. But all you need to maintain your garden and landscapes, and in this regard, you can sign an annual maintenance contract with the professional gardeners. When you approach a garden landscaper, they offer a number of services including the garden design, maintenance, fencing, flagging, turfing, tree surgery etc. So, choose the best contract according to your needs only.